Electrical Engineering Companies + Community | PK Electrical, Inc.
PK Electrical and WetLab sponsor Girls on the Run. 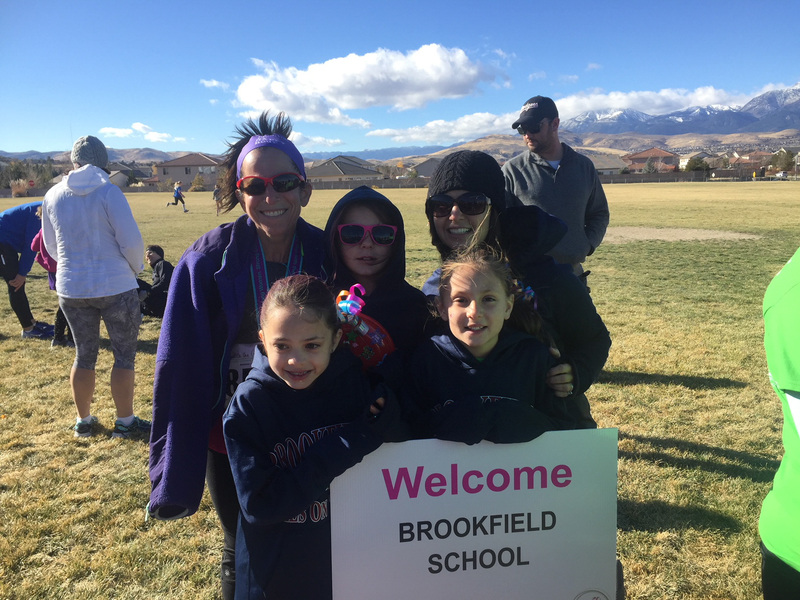 PK Electrical and WETLAB were elated to sponsor the Brookfield Bears team in the Girls on the Run – Sierras 5K Race on Sunday, November 5, 2017 at Damonte Ranch High School in Reno. We would like to congratulate all of the participants for their hard work – over 320 girls crossed the finish line in just 59 minutes! 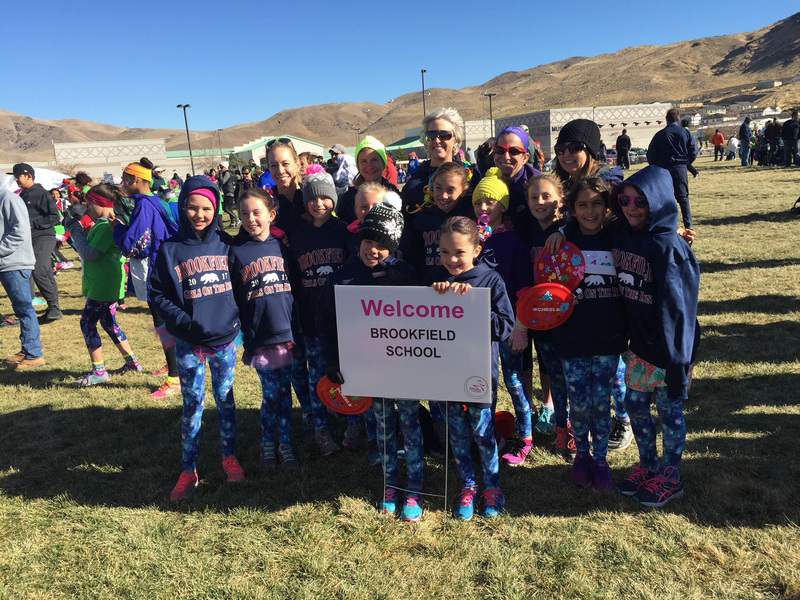 The mission of Girls on the Run – Sierras is to foster and introduce self-esteem and values through health education, life skills development, mentoring relationships, and physical training using a fun, experience-based curriculum. Changing the Name of the Electrical Engineering Game. As Founder, President and CEO of PK Electrical, Karen Purcell (pictured top left) understands the importance of empowering young girls and women and providing resources to encourage leadership and confidence. Ms. Purcell started PK Electrical Inc., a woman-owned electrical engineering company, in 1996 in Reno, Nevada and has since witnessed the company grow to a dedicated team of 33 employees and expanded to add a second office in Denver, Colorado. As a professional engineer in a male-dominated industry, Karen has experienced many hurdles, both professionally and personally, and hopes to share her stories and insight to inspire the next generation of female leaders. Western Environmental Testing Laboratory (WETLAB) is also a women-owned firm specializing in the niche market of environmental testing services specific to Nevada, California, Idaho and Wyoming. Owner and President, Michelle Sherven is pictured (top right) cheering on the Bears. PK Electrical is listed as a WBENC Certified firm. For those of you unfamiliar with the term, WBENC stands for Women’s Business Enterprise National Council, and their mission is to promote the growth of women-owned businesses. WBENC has four basic core competencies that include Certification, Opportunities, Resources and Engagement (CORE). Certification meaning that they are a certified women-owned business, Opportunities consists of staying connected with their fellow businesses and helping them to find those optimal opportunities, Resources are offered to help women overcome the challenges of running their own businesses, and lastly, Engagement which states that the key is to build on relationships and to create new ones. The 6 C’s Every Girl Should Live By. The Girls on the Run – Sierras website gives heartwarming insight into the results this program is having on young girls. “A recent independent study provides compelling evidence that Girls on the Run is highly effective at driving transformative and lasting change in the lives of third to fifth grade girls. The program’s intentional curriculum places an emphasis on developing competence, confidence, connection, character, caring, and contribution in young girls through lessons that incorporate running and other physical activities. Throughout the course of the ten-week program, girls learn critical life skills including managing emotions, resolving conflict, helping others and making intentional decisions. It is the combination of the research-based curriculum, trained coaches and a commitment to serve all girls that sets Girls on the Run apart from other after-school programs.” The program promotes self-discovery, the importance of teamwork, and how they can take the lessons they’ve learned throughout this course and apply them to real-world situations. Interested in working with electrical engineering companies like PK Electrical?